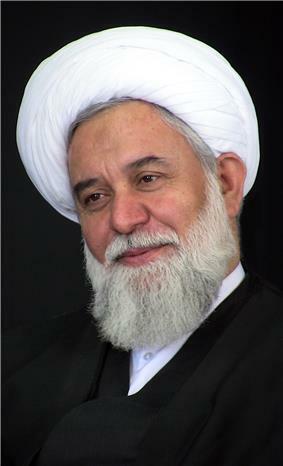 Ali Akbar Rashad is a graduate of Tehran and Qom Islmaic seminaries; he completed his introductory and first grade (studies based on textbooks) of Islmaic seminary education under the supervision of Kamali, Mohammadzadeh Mazinâni, Ali Afkhami (Afkham Rezâyi), Ayatollah Zanjani Najafi, Ayatollah Abd-os-Samad Khooyi in Tehran between 1967 and 1970. Then, he went to Qom to further his education in 1970, and was admitted to Grand Ayatollah Golpayegani Islamic Seminary school, which was considered the first scheduled educational center conducted on the new seminary methodology. He completed the basics of the second grade being a student of great masters Bakooyi, Hâj Hasan Agha Tehrani, Mokhtar Aminian Gilani, Sayyed Javad Ahmadi Taleghani, Eshtehardi, Mahmoodi-e Eshtehardi, and Salavati-e Araki in this seminary school. He also took Ayatollah Shabzendehdar Shirazi's exegesis and Islamic doctrine lessons, and religions (Judaism, Christianity, Bahá'í Faith and the sect of Wahhabism, ) lessons presented by Abd-ol-Gha'em Shooshtari during the very same period. Rashad completed the Third seminary grade being a student of Ayatollahs Hâj Sheikh Alipanah Eshtehardi, Mohsen Harampanahi Qomi, Morteza Moghtadayi Esfahani, Mostafa E'temadi khâjavi Tabrizi, Sayyed Abolfazl Moosavi Tabrizi (Reyhani), Morteza Banifazael, Agha Rasool Moosavi Tehrani, Sotoode-ye Araki, Ghafi-ye Yazdi, Sayyed Ali Mohaghegh Dâmâd, and Ja'far Sobhani Tabrizi. Having completed all the ternary grades of the seminary, he attended Khârij and the principles of jurisprudence classes of Grand Ayatollahs Vahid Khorasani, Ali Meshkini, Hosein Ali Montazeri (all in Qom), and Seyyed Ali Khamenei and Mojtaba Tehrani (in Tehran) for a total of twenty five years. He acquired mastery of the various levels of philosophy, while simultaneously acquiring principles of jurisprudence, by attending classes of Magisters and Ayatollahs, Dr. Ahmad Beheshti, Dr. Morteza Mutahari, Dr. Mohammad Mohammadi Gilani. Professor Rashad has been teaching higher levels of principles of jurisprudence, philosophy of religion, philosophy and mysticism in the "Islmaic seminary of Tehran" as well as the philosophy of religion and discourse and logic of Understanding Religion at university of Tehran and university of Mashhad for the past thirty years. He has also published more than thirty book volumes and fifty articles on philosophy, philosophy of religion, discourse, Quranic sciences, political thoughts, jurisprudence, principles of jurisprudence(Usul Al-Fiqh), and philosophy of principles. Rashad is the founder and chair of IICT, which is considered one of the most prominent non-governmental religious and academic research institutes. The institute is composed of five research centers and five affiliate institutes as well as twenty scientific departments in the fields of philosophy, epistemology, mysticism, Quranic research, philosophy of religion, discourse, logic of Understanding Religion, ethics, jurisprudence, politics, economics, Islamic management, occidental studies, history and civilization, cultural studies, Islamic revolution, contemplative literature, and so forth. IICT, having been established with the impetus towards contributing to the contemporary intellectual debates and towards attempts to criticize and theorize in the aforesaid fields and areas in the spring of 1994, and is currently publishing nine different scientific magazines with the following titles, in addition to eight hundred other publications all being the outgrowth of the researches and investigations carried out by its departments: ‘Qabasat’ (specialized in philosophy of religion/ ISI ranking), ‘Zehn’ [the Mind] (specialized in epistemology), ‘Eqtesad-e Eslami’ (Islamic Economics) (ISI ranking), ‘Hoqooq-e Eslami’ (Islamic Law) (ISI ranking), ‘Ketab-e Naqd’ (the Book of Criticism) (on thoughts and thoughts criticism), the International Journal of Philosophy of Religion (in English), ‘Qabasat’ International Journal on Islamic social systems (in Arabic), ‘Zamaneh’ [Era] monthly (specialized in contemporary history and political sociology of Iran), and ‘Hashieh’ [the Gloss] monthly (for seminary students and learned youth). The Encyclopedia of the Holy Prophet’s Conduct (fifteen volumes; in press). The Encyclopedia of Fatimah Culture (six volumes). Professor Rashad is also the founder and chair of Imam Reza Islamic seminary. This seminary, comprising four religious colleges (Reza’iyeh, Thameniyeh, Mohammadiyeh, and a higher education institute), is a comprehensive Islamic seminary complex offering all the Islamic seminary levels and courses as well as related special majors (philosophy, discourse, public law, private law, penal law, etc.). Dr. Rashad is currently a member of the Supreme Council of Cultural Revolution, chair of the Board of Supporting Theorizing Platforms, and chair of the council of the Islamic seminaries of the province of Tehran; in addition, he has founded the International Institute of the Islamic Philosophy, and is a founding member as well as the head of the Academic Association of the Principles of Jurisprudence at the Islamic Seminary. Professor Rashad was entitled the eminent theorizer by Farabi International Festival in 2009, and was awarded prizes and certificates of appreciation by UNESCO, ISESCO, Islamic Republic of Iran’s Presidency, and Ministry of Science, Research and Technology (Iran). He has presented articles and delivered speeches at conferences and scientific and philosophical conventions and conferences in different countries including Germany, United States of America, Austria, Spain, Algeria, United Arab Emirates, England, Italy, Bosnia, Pakistan, Turkey, Tunisia, Russia, Sri Lanka, Switzerland, Sudan, Syria, Iraq, Saudi Arabia, France, Cyprus, Lebanon, Vatican, India, Greece, etc. 8. (1993). Spectacle of Beauty (poetry), compilation. ettela’at publications. 11. (1999) Violence and Tolerance, 1st ed. Youth association of Thought. 12. (2001).Encyclopedia of Imam Ali (Scientific Editor and Editor in Chief). first edition containing 13 Volumes. 4th edition 2008. 34. (1990).Tavern of Love : an interpretation of Imam Khomaini’s Mystical Poems “Sick Eye Collection”, 1st ed. ; IICT Publications. 2. Freedom, 2004, Theology Journal, Islamic Azad University. 55. Justice: Status and Obstacles, Dialogue Journal. Ten philosophical questions on philosophy of religion will be asked of two hundred contemporary philosophers, and after their opinions and inputs have been categorized and analyzed, they will be codified and published in four different languages. 9. (1998). Delivering lectures in various cities of England. 10. (1999). Secularism. Epistemological foundations of Materialism (paper presentation). George Town University, the USA. 4. (2009). 22nd International Islamic Solidarity Conference. Ijtihadism (Jurisprudentialism) and Readability of Religion. Heads of States Summit Convention Hall. 10. (2001). Pre-congress of Two Sacred Ladies. The Mission of Godly Women in the Face of Contemporary Crisis (lecture). Tehran. 12. (2006). 2nd Regional Summit of Divine Religions (Venerating the Religious Sacred and Devine Prophets). Freedom of Speech and the Issue of Insulting the Sacred in Religion. 44. (2004). Ashura Congress. Manifestation of the Solidarity of the Husseini-eh Among the Followers of Ashura. 73. Qotboddin Shirazi International Conference, 2006. 86. (2008). Modern Religious Thinking National Convention. Shahid Beheshti University. 90. (2014). National conference on Nuclear Jurisprudence, 19 and 20 Feb. 2014; gave speech as the head of the conference.